When a child is diagnosed with cancer, the whole family begins battling the disease. Parents must be strong for the child, but siblings often feel left out when they see their brother or sister receiving more attention and special gifts. 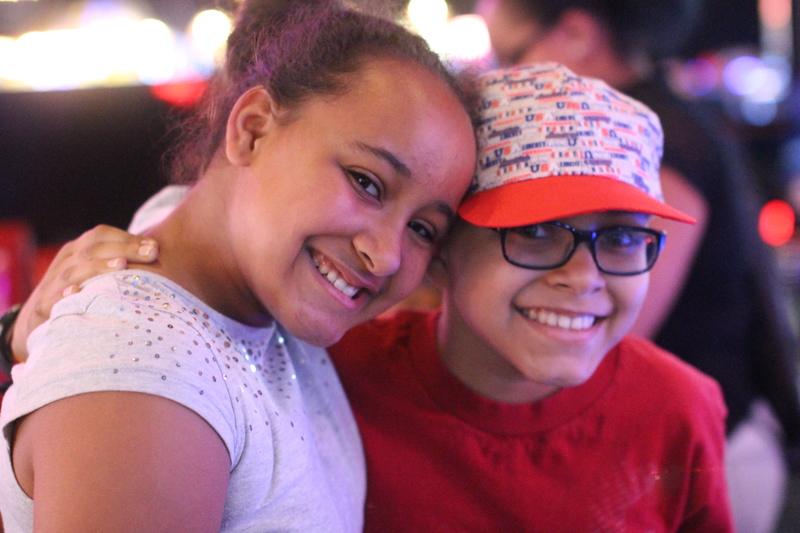 Friends of Kids with Cancer’s programs benefit the whole family because the whole family is battling cancer and requires support just as much as the child in treatment. Jacob is a calm and sweet 12-year-old boy who was diagnosed with Osteosarcoma, a rare form of bone cancer. The cancer is located in his right femur, so doctors had to cut out and replace the femur. Jacob gets around well with the help of crutches. Jacob’s sister, Kaylie, just turned 11 on Monday, July 25. So Friends’ Program Director, Brandy Bimslager, wanted to make sure Kaylie got to celebrate her birthday and enjoy a day focused on her. Brandy met Jacob and Kaylie’s mom, Amanda, at the Ronald McDonald House in St. Louis to give her gift cards to use at Dave and Busters for Kaylie’s birthday on Monday. 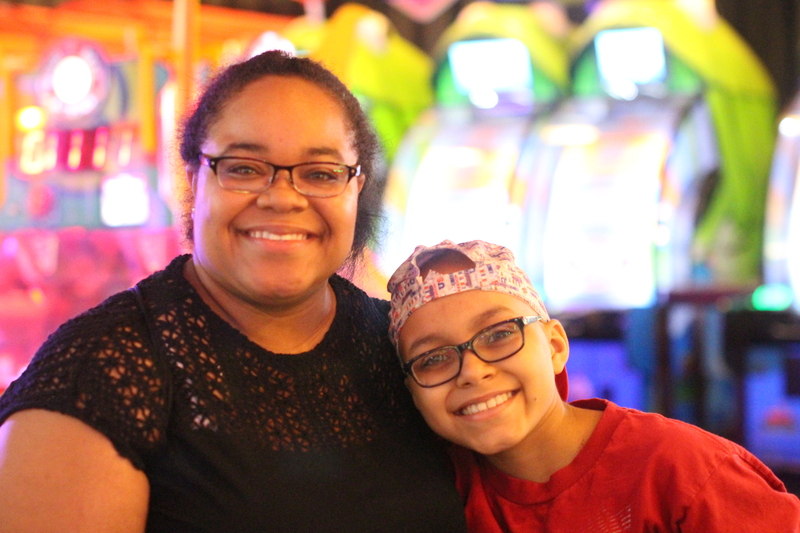 As a single mom working three jobs, Amanda says her strong faith and support through Friends of Kids with cancer has helped her family persevere through this journey. 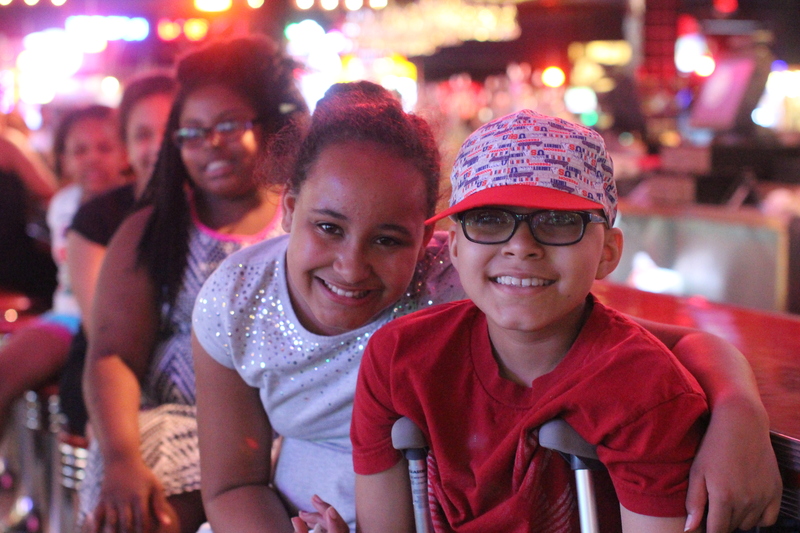 When Jacob began treatment, Amanda couldn’t afford toys and fun outings, but Friends was there to help. 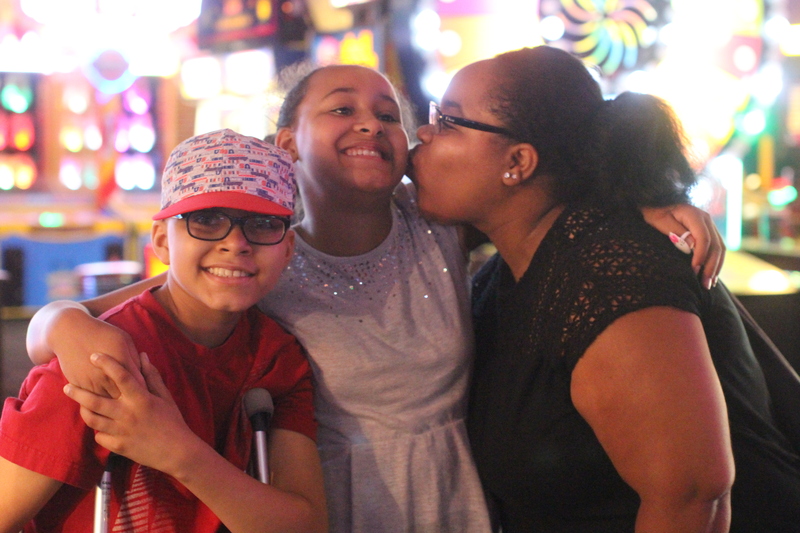 “Friends helped to bridge the gap on all the childlike things Jacob and Kaylie can enjoy. As a single mom, all extras were cut and toys and fun events were the first to go. My kids say they understood, but would often feel like they were being punished because I could not do things for them like in the past. 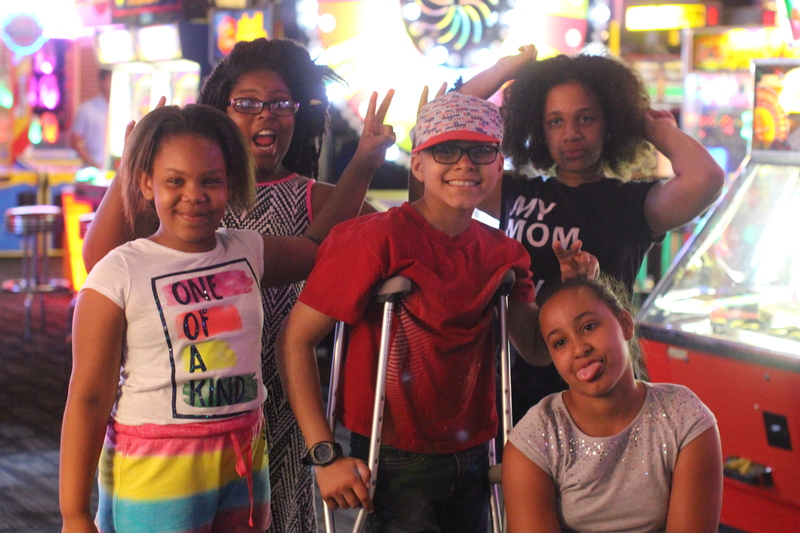 Friends stepped in and made the summer fun for my babies. No one wants to give their summer up, but Friends made it feel like summer,” said Amanda.